I second that, but i don’t think it’ll happen. Here’s hoping! So… what would a snake look like in this universe? 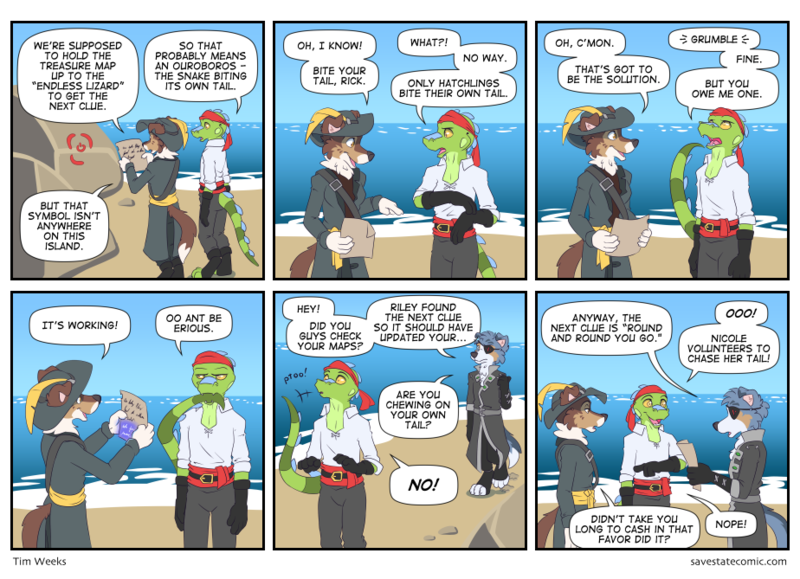 There wouldn’t happen to be a higher res version of this comic, would there? Or at least of the 4th panel? What if I don’t have a tail, or it can’t reach my mouth? This game is discriminating against apes, rabbits and hares, and probably a few more species I’m forgetting. I wanted to add frogs, turtles and tortoises to the list. By the way, Tim, my most recent email has been taking quite a bit of time. This is due to the fact that I have trouble finding time to work on it while on vacation. (I’m in Florida.) Please be patient. I will have it finished soon enough. Yes, it supposed to look like Snoopy (mixed with Star Fox or a generic Dragon Ball Z character). Why this, isn’t Crash Bandicoot and the Spyro remasters more relevant right now?